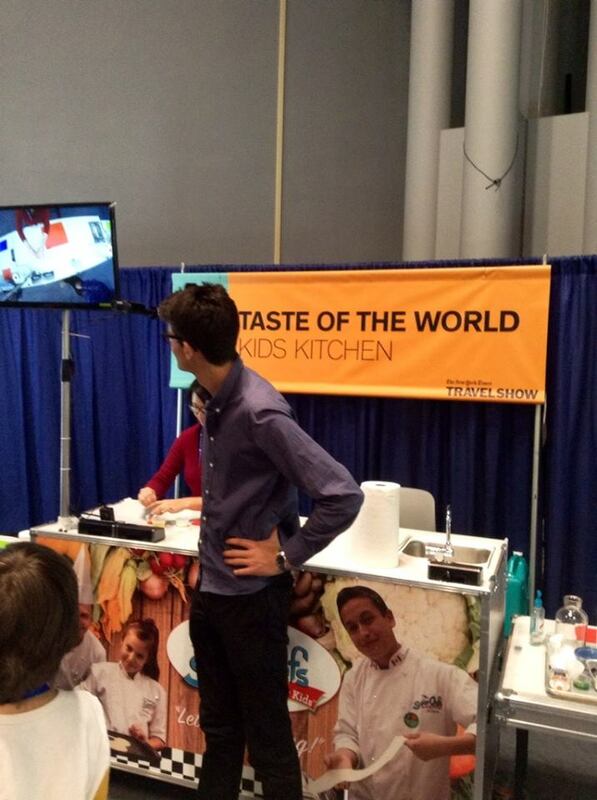 Young Chefs at the New York Times Travel Show! This past weekend, Young Chefs co-founder Vayu Maini Rekdal left frigid Minnesota for tropical NYC to present his work with Young Chefs at the New York Times travel show. Invited by Bill Yosses, former White House Pastry Chef, Vayu had the opportunity to collaborate with NASA scientist Steve Howell and present fun, edible experiments to people of all ages. He talked about emulsions, foams, spheres, and polymers, and met a range of inspiring educators who are working to engage youth with their food. The Green Bronx Machine, SuperChefs of the Universe, Spoons Across America, and ChopChop magazine were just a few of the organizations represented. The Travel Show was the ideal catalyst for bringing us all together to share with and learn from each other. The Young Chefs Program looks forward to collaborating with these people in the near and distant future — stay tuned for details! Even though the weekend was full of amazing moments, there is one that stands out in particular. 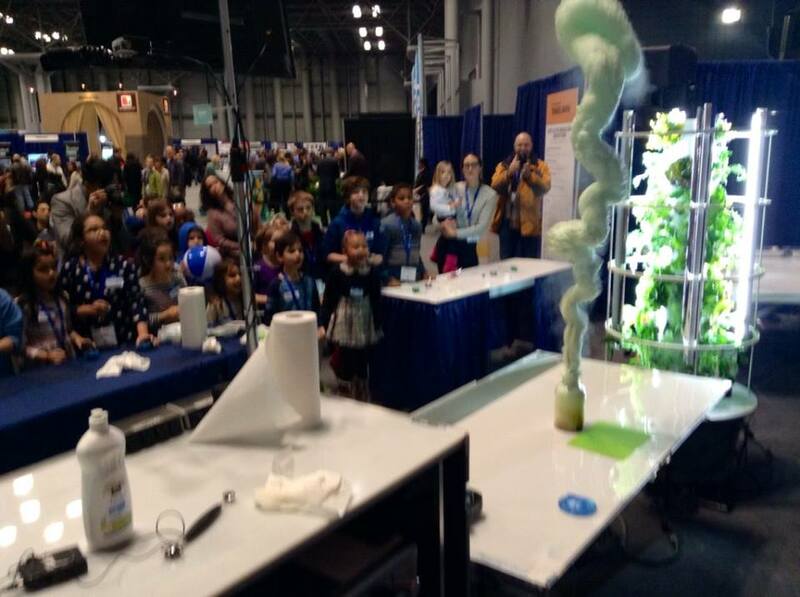 In preparation for their presentation, Vayu and NASA scientist Steve Howell decided to impromptu experiment to alter a foaming demo they have previously used with kids. As they say, great minds think alike: after just a few minutes of conversation and hypothesis-making, the inedible foaming demo had turned into a 3-second sponge cake, which, by the way, was absolutely delicious. Stay tuned for more details. And thanks to Bill Yosses for inviting Vayu to an incredible weekend! 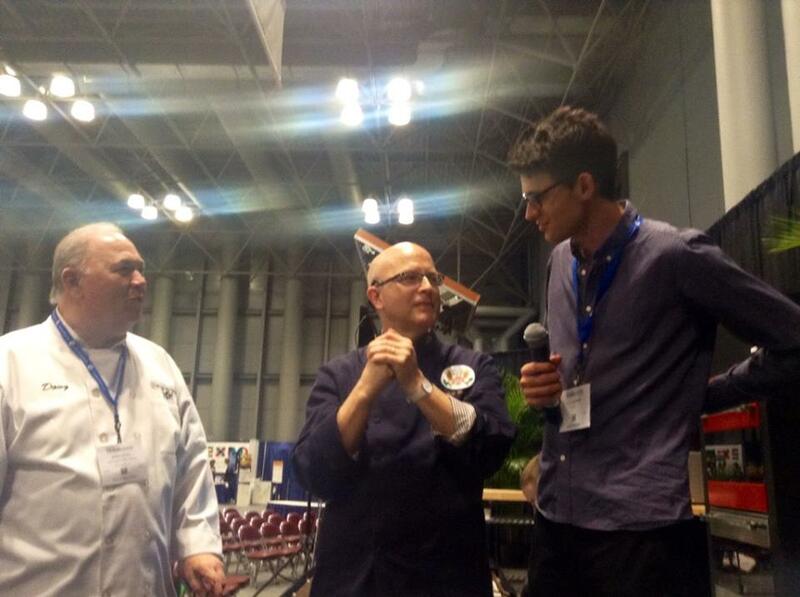 NYtimes food critic Doug Duda, Formed White House Pastry Chef Bill Yosses, and Vayu Maini Rekdal, all talking before Vayu’s presentation on emulsions and salad at the main stage. Vayu explaining how spheres work at the KIDS KITCHEN section of the event. The exploding milkshake. Enough said.